Yes, we love a good pun almost as much as we love Game of Thrones. So with the final season starting this weekend, we couldn’t resist making a cocktail that involves both. So in true Targaryan fashion, we made a drink that we think is a real showstopper. Introducing the Mother of Dragon Fruit Cocktail. It’s so Dracarys with the fruit’s fiery colors. I love it because it both uses the dragon fruit, and the color of it is so gorgeous and white like Daenerys’s hair with a fiery garnish that’s perfect for the mother of dragons. And since Drogon is an ice dragon now, well, the mother of dragon fruit cocktail’s white color really suits the fire and ice theme. I’ve been a fan of the Song of Ice and Fire books for a long time. (Hurry up, GRRM!) And I’ve really enjoyed the show on tv. It’s kind of like losing some friends when the show comes to a close. Well, frankly, it seems like we lose a friend or two each episode these days. But celebrating with a signature cocktail for House Targaryan seems fitting as the show comes to a close. You can find dragon fruit more easily these days. It’s really becoming a popular fruit. 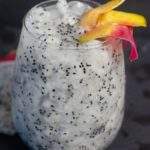 But since it’s new to a lot of people, I thought it may be helpful to have some notes on how to choose and work with dragon fruit in your cooking and drink making. So here goes. Dragon fruit flesh can be either reddish pink or white with what looks like black seeds. Depending on where you shop, you may see the fruit called a pitaya. It’s a really unique looking fruit. The outside is a gorgeous hot pink with yellow and green spines. You don’t eat the spines or the skin. In fact, the dragon fruit is in the cactus family. It’s a common fruit used in a lot of South Asian recipes. It also grows natively in South America, so you sometimes see it in their cuisine as well. What’s it like to eat a dragon fruit? If you have not enjoyed a dragon fruit before, the texture is a lot like that of a kiwi. It’s fleshy, but with a lot of juice and small seeds. It tastes kind of like a cross between a kiwi and a watermelon, so it’s truly a perfect spring and summer time fruit. You can ball it like a melon too. 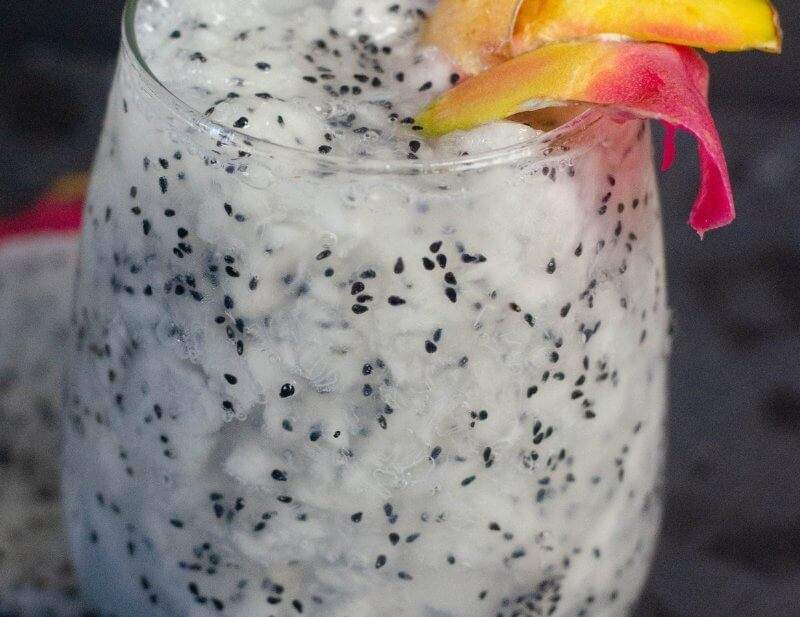 You’ll want to avoid selecting bruised dragon fruits. Think of them like how you would when selecting an apple. The fewer the bruises, the better the taste and texture. To get into your dragon fruit, just cut it in half and scoop out the flesh with a spoon. So let’s go make a cocktail, a mother of dragon fruit cocktail, that is. To serve the drink without alcohol, simply omit the rum and add a touch more lemon juice and a touch of club soda to fill out the drink. Slice off a nice piece of the dragon fruit to save for your garnish. You’ll want to keep a really nice, colorful piece. Then scoop out the flesh and put it in your shaker. In a cocktail shaker, muddle all of the dragon fruit flesh until the fruit releases all of the juices. Add the rum and lemon juice. Note: if the dragon fruit doesn’t make enough juice, add more lemon juice and rum. The Mother of Dragon Fruit Cocktail is a fruity, rum based drink taking it's inspiration from Daenerys Targaryan in Game of Thrones. Just like the mother of dragons herself, this drink recipe is the perfect blend of ice and fire. hen scoop out the flesh and put it in your shaker. Pour into cocktail glass.. There's no need to strain the drink. If you love drinks for fans, you may enjoy some of our Harry Potter inspired drinks too. We have a great recipe for Harry Potter’s Pumpkin Juice, a dry ice cocktail inspired by the Crimes of Grindelwald, and our blue curacao based drink inspired by the Occamy Beast in Fantastic Beasts and Where to Find Them. Please let us know how you enjoy our Mother of Dragon Fruit Cocktail recipe. If you make it yourself, please let us know on Pinterest that you tried it and tag us with #champagneandcoconuts on your Instagram photo. If you haven’t had a chance to make it yet, be sure to save the recipe on Pinterest so you’ll remember where you found it. 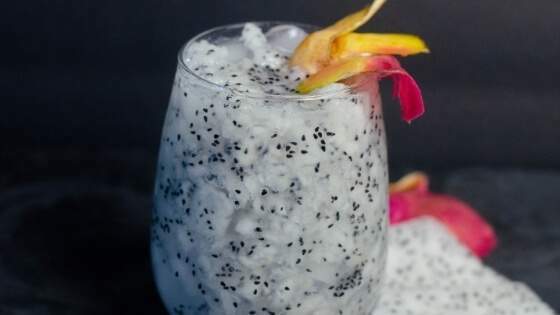 You may enjoy following our Pinterest Boards, Dragon Fruit Cocktail and Mocktail Recipes and Game of Thrones Inspired Cocktail and Mocktail Recipes.